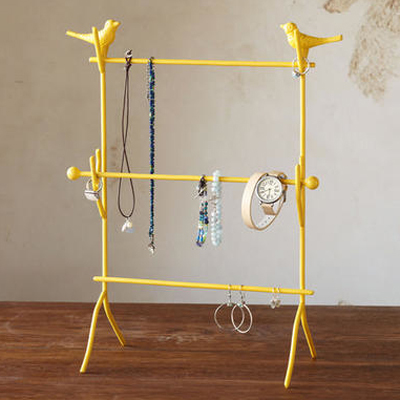 The Bird Sentry Jewelry Stand features two pert birds that stand guard over your jewelry collection, preventing necklaces from getting twisted, rings from getting lost. The center bar lifts off to slip rings on. Made of powder-coated iron. $40. Buy here.